Our family of products is the result of our effort to find excellent tropical products that we could offer the world. We offer you our products under our labels, Paisanitos® and exoTicos®, both owned and registered by DISASO, S.A.
Palm trees, like the ones that produce green young coconuts, are grown in many tropical and subtropical regions of the world. In our case, our green young coconuts are grown in Costa Rica. The precious liquid contained in them has amazing properties. For example, many refer to it as the liquid of life; this is because of its uses and because it is an isotonic drink. It also helps reduce the risk of suffering certain ailments and it helps improve human health in multiple ways. We hope you can enjoy this delicious product, we really think you will love it. Mature coconuts add flavor, variety, and healthy nutrients to your diet. These coconuts have an advantage over their tender counterparts; they are rich in certain fatty acids. Mature coconuts have medium chain triglycerides (lauric, myristic, palmitic, and caprylic acid, among others), which are known for being antiviral, antibacterial, and antifungal and for boosting the immune system. Additionally, mature coconut consumption is associated to benefits to our digestion, in weight loss, heart health, and in skin and hair care. 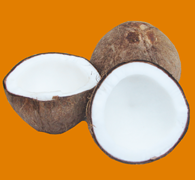 All these benefits are well used by those who consume mature coconuts and by the industry, dedicated to producing different byproducts such as coconut milk, coconut oil, coconut chips, and multiple variations in the coconut meat presentation which are later used by the confectionery and bakery industries. Nature is full of wonders. Everything around us and much of what we use every day is inspired in nature. 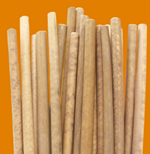 Our bamboo straws are no exception. Nature, in its incalculable geniality, gave us a special type of bamboo that we can handcraft into straws. This is a very interesting product and we have been able to appreciate its functionality and versatility. We hope you get to see this for yourself. We know, without a doubt, that green young coconuts are a fantastic gift of nature. They provide us with an amazing hydrating drink with multiple benefits to our health, and they also provide us with great byproducts that are very useful in day to day life. 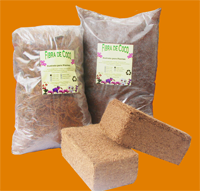 Our coconut fiber, extracted from our green young coconuts, is a highly versatile product with a wide variety of applications. 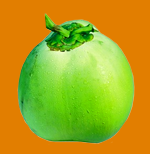 We invite you to visit this section so you can appreciate some of the options that come to life from green young coconuts and their fibrous husks. 2010 ® DISASO, S.A., all rights reserved. Disaso®, exoTicos®, and Paisanitos® are registered trademarks of DISASO, S.A.